2018 will go in the books as one of Riverkeeper’s most successful years and it was driven by the enormous growth in public support for clean water and safe energy, up and down the Hudson. 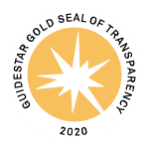 Our continued success draws accolades: We received a prestigious award from the American Bar Association recognizing our record of accomplishments and we earned Charity Navigator’s top rating for the sixth straight year because of our commitment to fiscal responsibility, transparency and accountability. Given the mounting challenges facing our rivers and drinking water supplies in 2019 and beyond, we’ll need the support of the entire Riverkeeper community more than ever to build upon our 2018 victories. No oil barge ‘parking lots’ on the Hudson. 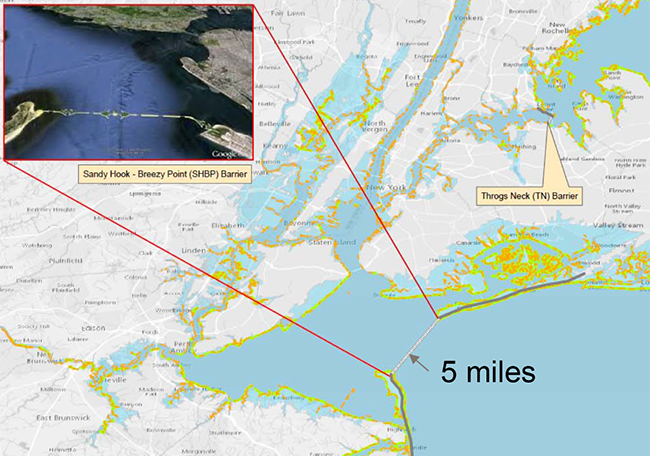 In March, the U.S. Coast Guard pulled the maritime industry’s request for more than 40 new long-term anchorages for crude oil barges. 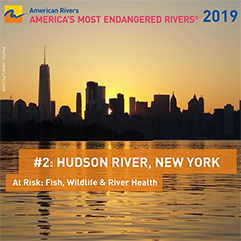 Riverkeeper fought hard to stop the anchorages, educating and mobilizing the public to send 10,000 public comments calling for the protection of the Hudson. As an outcome of the anchorages battle, we helped launch a new committee aimed at improving navigation safety and environmental protection along the Hudson. Leading the fight against ill-advised storm surge barriers. We mobilized opposition to plans being considered by the U.S. Army Corps of Engineers for ill-conceived storm barriers in New York Harbor that would permanently damage the Hudson. After months of public pressure, the Army Corps agreed to allow more time, money and transparency before formulating any of its plans for the Harbor. Innovative new ‘Vision Plans’ for two neglected NYC waterways. We unveiled and launched community-driven Vision Plans for two long-suffering waterways in New York City: Newtown Creek and Flushing Bay and Creek. The plans are brimming with possibility, detailing 135 opportunities for remediation, restoration, recreation and resiliency. These initiatives aim to restore native salt marsh habitats, make the shorelines more accessible and help protect areas from floods and rising sea levels. Toughening up lax industrial agricultural permits. Riverkeeper challenged a deeply flawed state dairy farm permitting plan, winning more public participation and forcing more aggressive state oversight, to prevent disease-causing animal waste from being discharged from factory farms into our regional waterways. Our biggest, cleanest shoreline “Sweep” yet. Our annual one-day shoreline cleanup is making a lasting impact on the river. In 2018, we mobilized 2,300 volunteers who removed 37 tons of trash and hundreds of pounds of invasive plants from 120 shoreline locations — our biggest one-day cleanup yet. 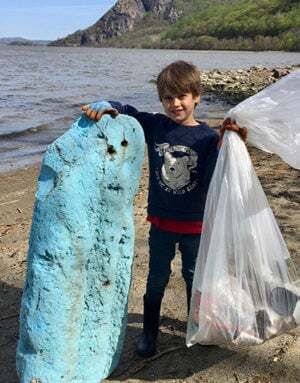 In seven years, the Riverkeeper Sweep has engaged more than 10,000 volunteers at 615 projects from Brooklyn to the Adirondacks and has removed 226 tons of trash from the Hudson River Estuary. The Hudson 7. We helped unite seven river communities, which draw their drinking water from the Hudson, into an intermunicipal council representing more than 100,000 New Yorkers. Calling themselves “The Hudson 7,” these communities are making innovative use of Riverkeeper’s new drinking water source protection “Scorecard” — a roadmap for identifying and reducing sources of contamination in communities across the state. We also successfully lobbied for a Filtration Avoidance Determination ensuring that New York City will continue providing pristine, unfiltered Catskill Mountain water to 9.5 million city and Hudson Valley consumers for the next decade. Getting plastics and drugs out of our waterways. We helped win passage of the Drug Take Back Act, requiring New York’s pharmacy chains to provide for safe disposal of unused prescription drugs. 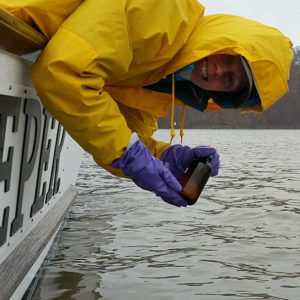 Riverkeeper’s work with U.S. Environmental Protection Agency and Cornell University helped establish the need for this groundbreaking bill, by identifying a whopping 168 different pharmaceuticals, pesticides and industrial chemicals in the Hudson River Estuary. 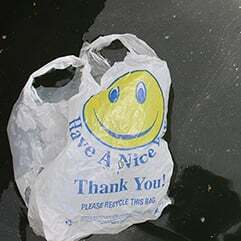 We also worked with community groups and lawmakers in Ulster and Albany Counties to win bans on single-use plastic bags and styrofoam carryout containers. Holding back fossil fuel expansion. We iced two fossil fuel projects threatening the Hudson, its tributaries and our climate. In May, Global Partners abandoned its plan to expand its Albany terminal to ship tar sands crude oil by rail and barge along the Hudson. That same month, the U.S. Supreme Court upheld New York State’s refusal to permit the Constitution fracked-gas Pipeline to proceed. Riverkeeper highlighted how the pipeline would have jeopardized scores of regional waterways. Stopping industrial pollution. We continue to call out industrial facilities operating in violation of the Clean Water Act and force them to obtain permits and adopt best practices. In 2018, as part of our stormwater initiative with outside counsel, we completed seven such cases, cutting stormwater pollution and generating nearly $84,000 in fees and environmental benefits. We are constantly on patrol looking for would-be polluters. Our patrol boat logged 5,000 nautical miles in 2018. Improving the health of key Hudson Valley waterways. We lobbied New York State to add the 88-mile Wallkill River, along with Newburgh’s two drinking water reservoirs, to the state’s list of “impaired” waterways, meaning that the full power of the Clean Water Act must now be used to restore them to health. We also helped form the Rondout Creek Watershed Alliance, a citizen-led group dedicated to finding and eliminating pollution hotspots. The Rondout and Wallkill form the Hudson Estuary’s largest tributary, and we’re working with local partners on more than a dozen others. Restoring habitat in the estuary. 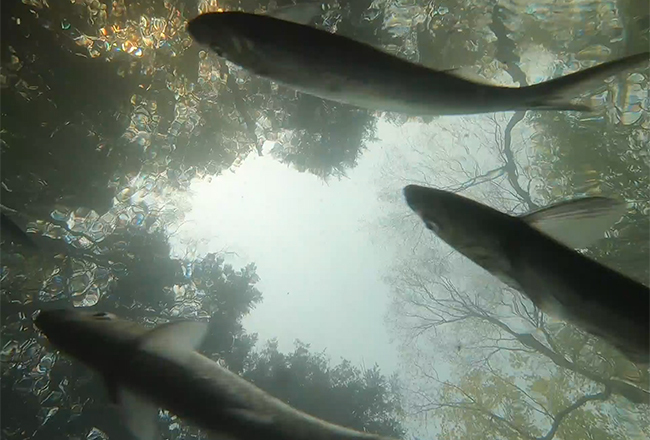 We obtained formal agreements to remove four obsolete dams blocking Hudson tributaries as part of our new effort to open habitat for migratory fish and restore historic fish runs. Riverkeeper will also join the Hudson River Park Estuarine Sanctuary planning effort to advance a new $134 million program for habitat restoration and research. Laying the groundwork for $438 million in clean water projects. 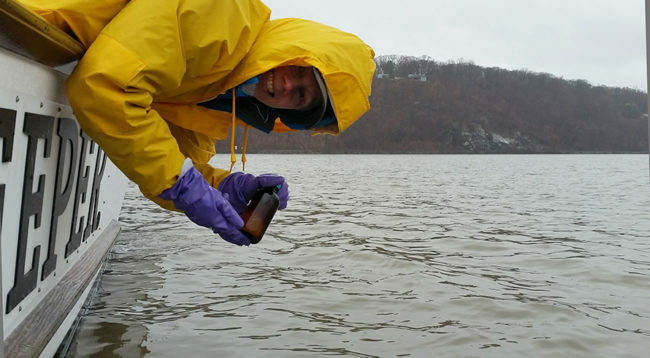 In 2018, nearly 50 organizations partnered with Riverkeeper to collect more than 5,400 samples of water along the Hudson and a dozen of its tributaries. The data help identify where investments are needed to improve water quality. The Hudson River and its tributaries, and communities that rely on them for drinking water, will see a $438 million investment in the coming year, thanks to the state’s Clean Water Infrastructure Investment Act, passed with Riverkeeper’s help in 2017. Setting a higher bar for NYC water quality with “Riverkeeper v. Pruitt.” We sued the EPA to make them do their job and implement tougher water quality standards for New York City waterways. EPA tried to delay the case, but a federal judge denied the attempt, ruling that Riverkeeper has the right to press for stronger protections. We were then able to make our case that the EPA must better protect the rapidly increasing number of people who swim and boat in NYC waters. Restoring safe drinking water in Newburgh. Riverkeeper and our partners continue to advocate for the cleanup and restoration of the City of Newburgh’s water supply, which has been contaminated by toxic chemicals contained in firefighting foam used at Stewart Air National Guard Base. Newburgh will also be one of the first communities to benefit from an innovative new state grant program we helped establish to fund land conservation that protects drinking water quality. Riverkeeper has received Charity Navigator’s Four-Star rating for a sixth straight year.